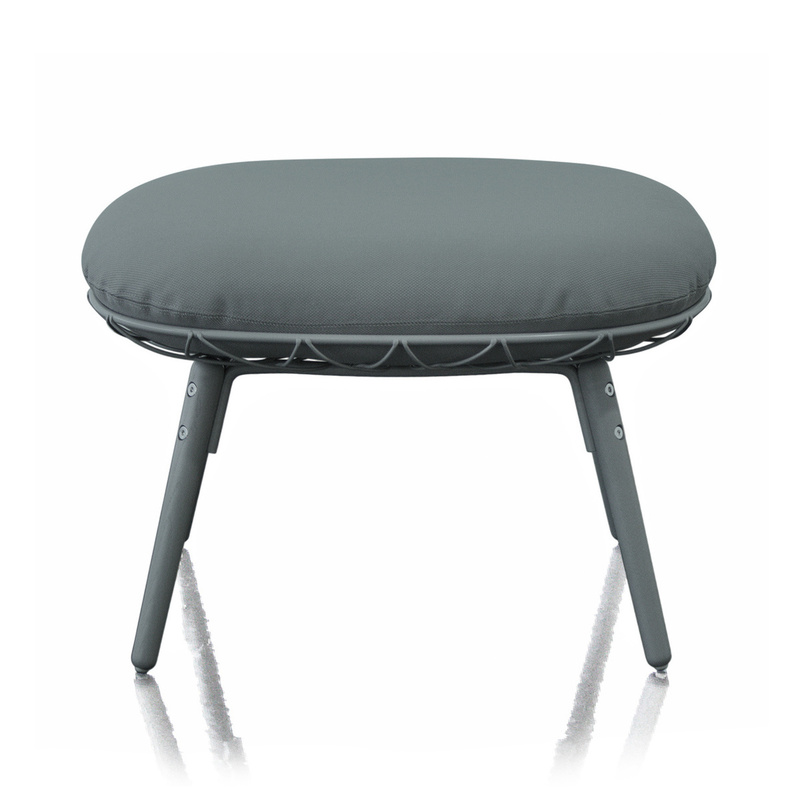 The Piña footstool: great comfort and elegance in this piece by Magis. The Piña footstool with ash wood legs is a complementary design signed by Magis, an Italian brand that follows a concept of well-defined style: original, modern, but also elegant and refined. The Piña collection features a low armchair and two different footrests such as the model in question and one with steel legs. This small piece of furniture presents some very interesting peculiarities: first of all, from a stylistic point of view, while small it is very eye-catching, mixing ash wood legs to a special steel body and a large bulky pillow, extremely soft and lined in Kvadrat Steelcut 2, a fabric that is very durable and resistant. Ideal to stretch your legs while sitting on a couch or armchair, this item is perfect to match to Piña armchair, another product in the Magis catalogue and very similar in both style and material. 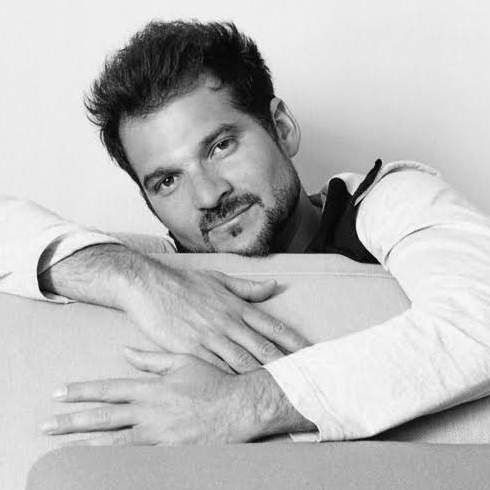 The entire Piña collection boasts a very prestigious signature, namely that of the well-known Spanish designer Jaime Hayón, and such a piece of furniture can be used in many different contexts. 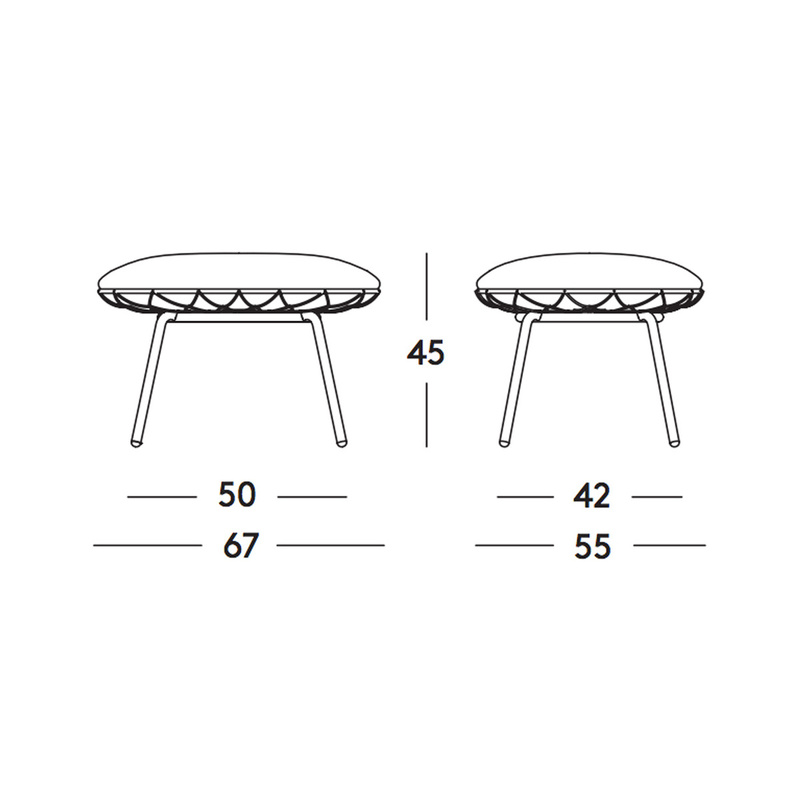 Perfect for classic and modern environments, the Piña footstool is incredibly versatile and can be used also as an idea for a gift, sure to be appreciated especially by someone who is renovating their house.